We recently had the pleasure of designing flowers for Purdue University's Distinguished Technology Alumni Awards event. Marie Clifford, Manager of Special Events and Alumni Relations at the Purdue Polytechnic Institute, reached out to us asking if we could take on the event, explaining that she preferred to work with small, local businesses as much as possible. Of course, we jumped at the opportunity to bring her event to life! 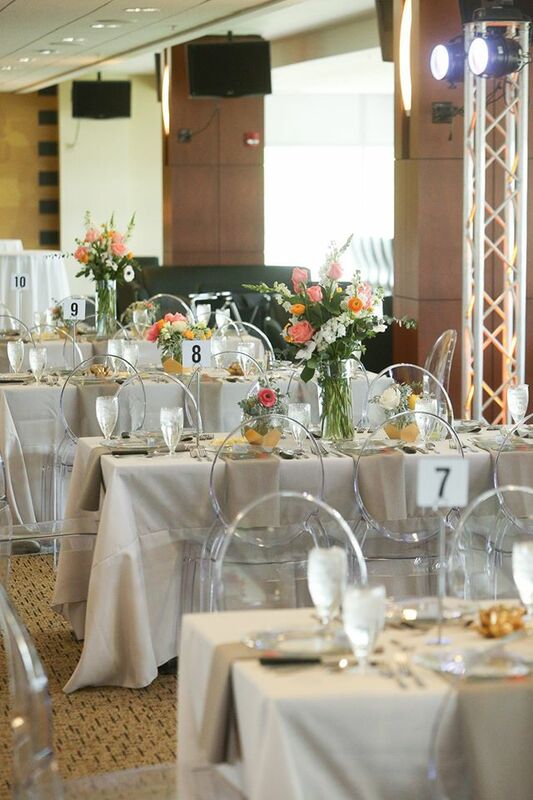 Marie had a beautiful vision for this event and worked with Audra at Heart's Arrow Events to pull it all together. The idea was to have a clean, fresh feel in the room while emanating Purdue's school colors, which was pulled off by the ghost chairs, clear plates, and pops of gold in the vases. Marie gave us a beautiful color palette to work with, and we went to work choosing the most beautiful blooms for the occasion. 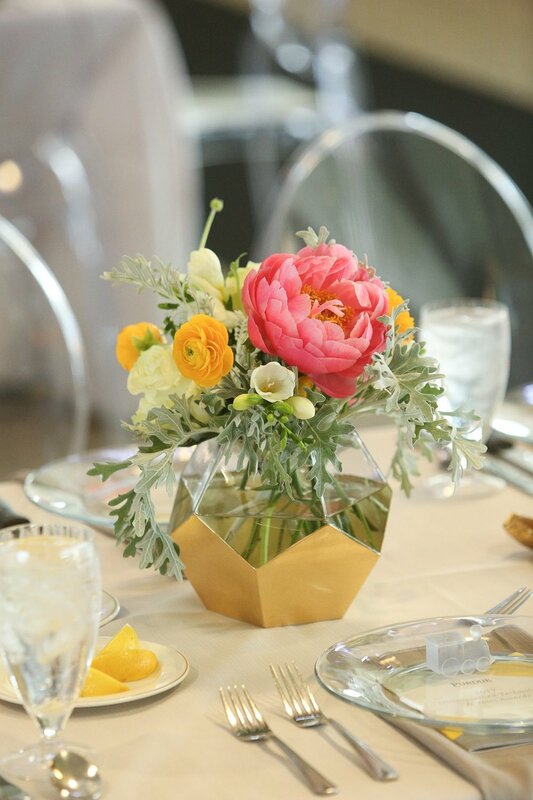 Among our favorites were the coral peonies, peach and yellow ranunculus, white anemones, and stunning Juliette garden roses. We were so lucky that ISPhotographic was there to photograph the event and capture the beauty of everyone's hard work. Many thanks to Marie and Audra, who were both a total pleasure to work with!